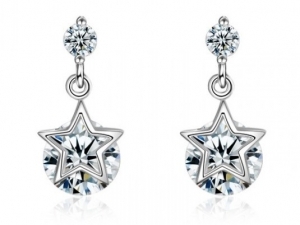 You will receive 19 Ladies Cubic Zirconia Crystal Star Drop Earrings. Womens earrings. 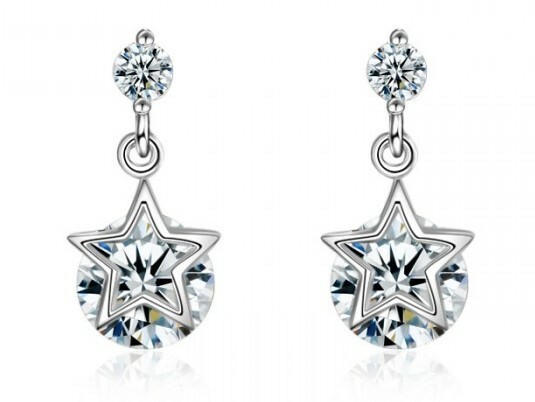 A stunning drop piece that features a star in front of a Cubic Zirconia crystal. Also features a CZ stone at the front of the pushback fastener.